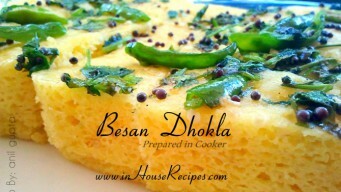 Dhokla recipe in cooker with or wihout Eno. Steam Khaman (Gram flour - besan) in 30 minute easily. Instant step by step video in Hindi with dhokla images. 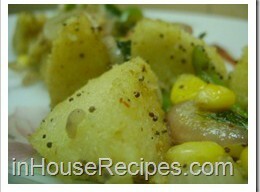 Masala Corn Idli is a recipe which combines the flavors of North Indian tadka with South Indian Idli. Great for eating as snack at tea time or breakfast. 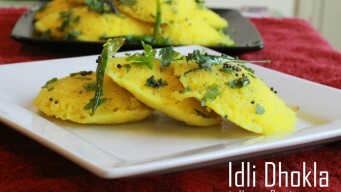 Sooji Idli dhokla recipe with steaming in cooker. Can be made with Idli batter too. Use standard Idli maker stand. Spice up Dhokla with Mustard seeds tadka. 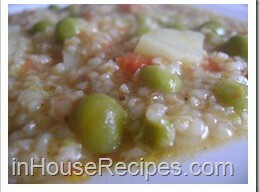 Dalia Pulao (Porridge Rice) is a healthy meal especially for kids. It boasts of various vitamins and minerals and is easy on stomach to digest. 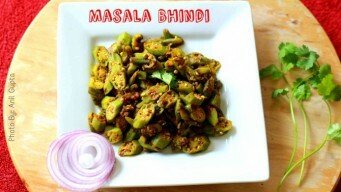 Masala bhindi with no onion no garlic is an absolute delight. Make it easily at home to eat with Paratha or Naan. 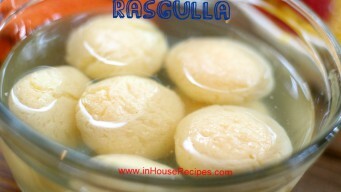 Sponge Rasgulla is an awesome-awesome sweet dish and is pretty famous in India. Follow this easy tried and tested recipe to make it for your guests at home.